← Securing our health the spiritual way? I love it when a book stops me in my tracks and demands 100% attention from cover to cover. So it was with my unlikely holiday read this year. 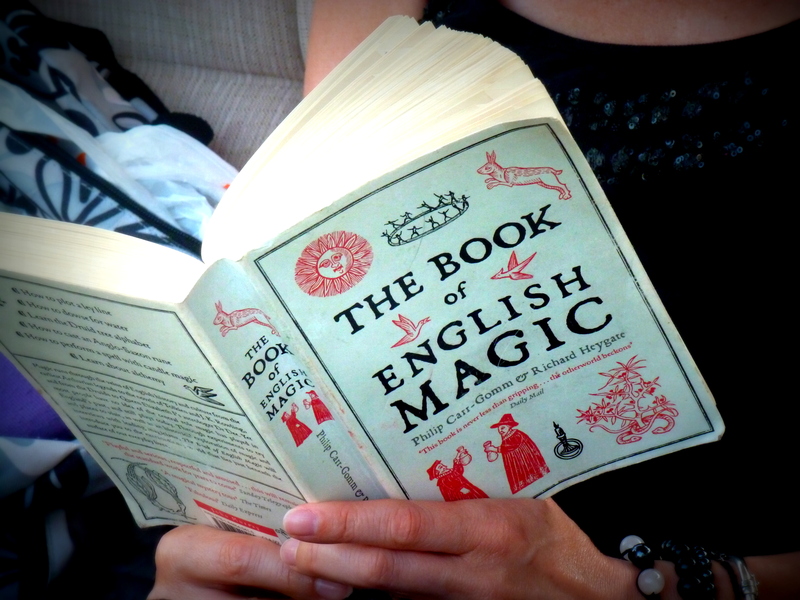 I stumbled across Philip Carr-Gomm and Richard Heygate’s ‘The Book of English Magic’ at the airport on the way out to a week in the sun. This book became my companion by the pool, on the beach and in the bar for my early evening ice cold beer. For anyone with an interest in not only the history of magic in England, but also the place of the enchanted and magical in our everyday modern world, this is the book for you. It also reminded me why I started out on this research journey. The leading texts in social science are very dismissive of contemporary alternative spirituality, and have very little time for anything magical or otherworldly which may lie at its heart. My research with a wide range of practitioners suggested this was missing the mark completely, because magic and enchantment are alive and kicking in modern Britain. But also, social science is very dismissive of contemporary expressions of spirituality because they are very eclectic, and this they argue undermines their capacity to serve a useful social function. However as Carr-Gomm and Heygate say in modern witchcraft, for example, we see ‘the way in which a religion can grow from a combination of different influences into a belief system that can sustain communities, nourish them intellectually and spiritually, and offer a satisfying alternative to what is already on offer’ (page 183). So ditch your usual holiday read and try something a little more magical this year instead…!